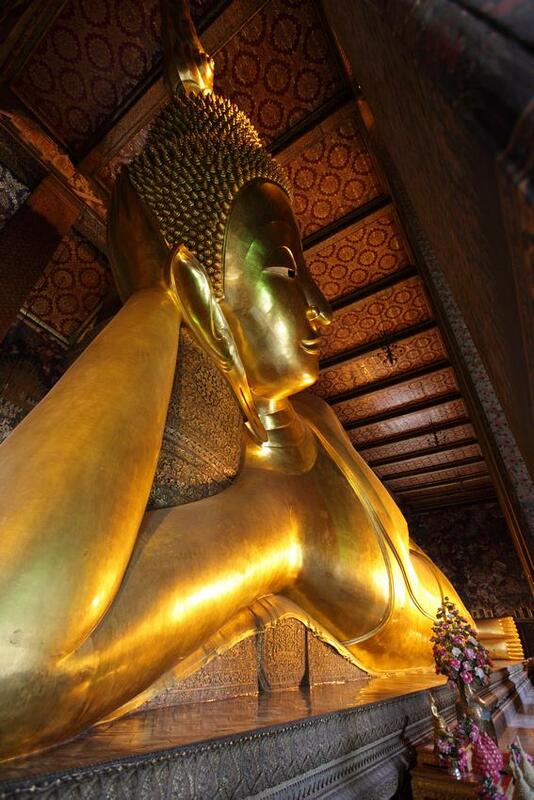 Thailand has millions of Temples, many of those Temples or Wats have reclining Buddhas in them, this is the thread to post the photos of reclining Buddhas, some are even quite famous, albeit generally only for their size. First up is in Bangkok at Wat Saket, only a small one this one. Is it laid out on a coffin? Seems to get blessed quite a lot. 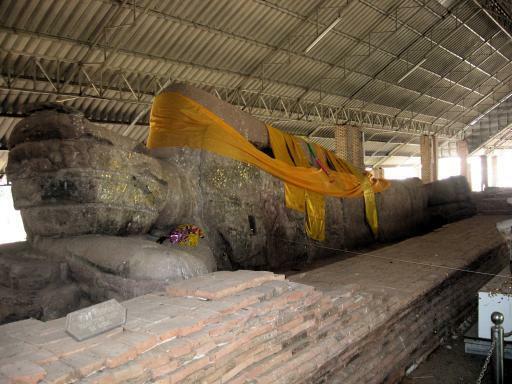 Ok DD here is a photo I took in April 2008 when my Mum was out here, the Ayutthaya reclining Buddha. Well Lars, I am not sure if mine is bigger than yours, but it sure is in better condition. 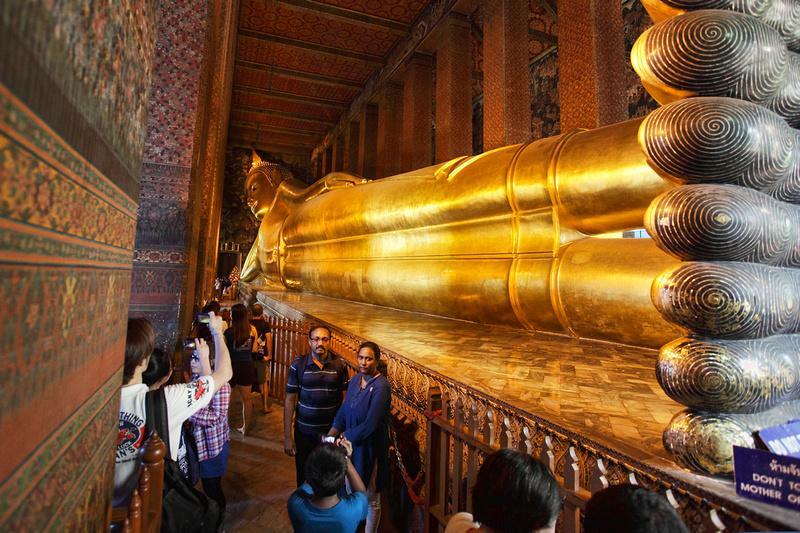 Let me present at 43 meters long, the reclining Buddha from Wat Pho in Bangkok. 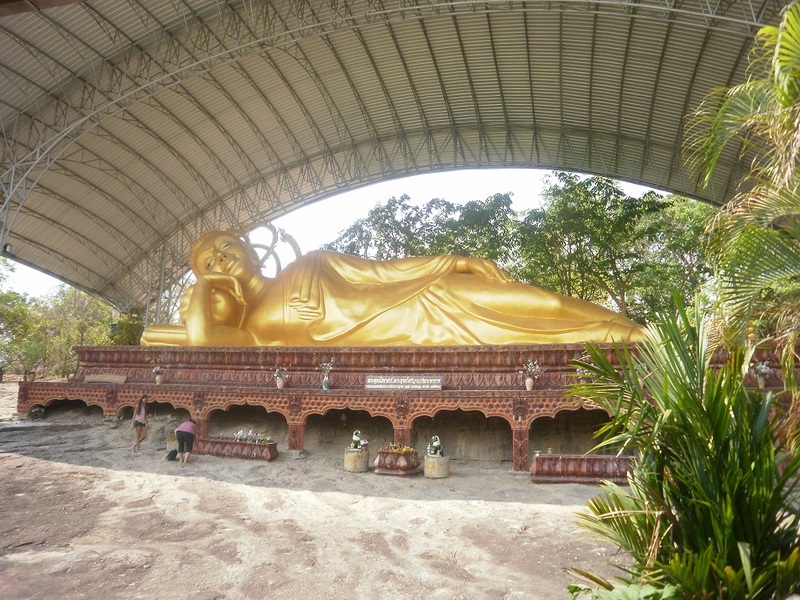 Well DD, unfortunately I don't have any new reclining Buddha statues to contribute with but I can add to your last one. Pretty sure it's the same one, probably the most famous of them all. This one taken from where you were most likely. I'm hoping to go back for more shots in a couple of months, another go at the Golden Buddha and of course, the Emerald Buddha. Have one in the house. Heavy. Solid carved alabaster. In our village, the Wat burned down. Bad electrical work (40 years old). We had a sleeping Budha. If you think I am not telling the truth, call the Sanom Police station. I am trying to muster up the troops in BKK.. We got alot of family over there. Last edited by Carrabow; 04-09-2012 at 12:48 AM. There is also a very old one (300+years) in Ratchaburi. Quite large as well; at least 25 meters long. No pics; they're on my old computer. It's also very obscure and not easy to find unless one knows where to look. It's also very obscure and not easy to find unless one knows where to look. Guilty as charged. Mine's a mess. Wat Phra Non has, oddly enough, a large reclining Buddha. 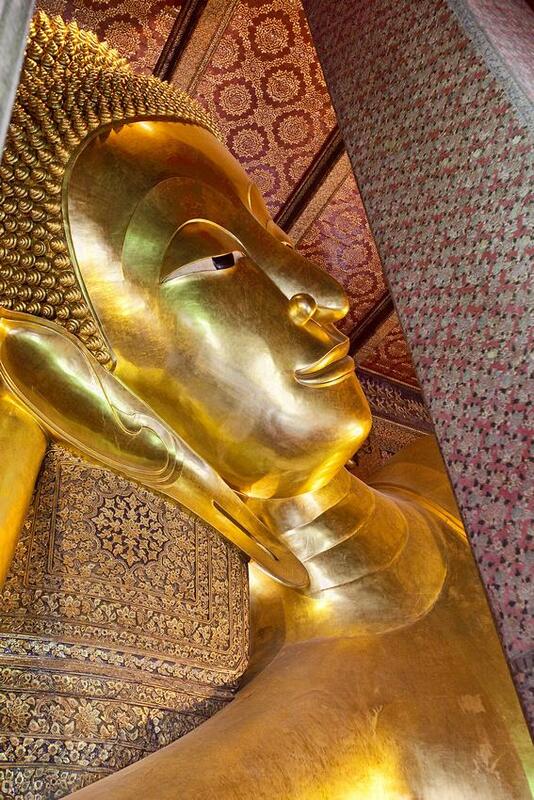 This is supposed to be the oldest large reclining Buddha in Thailand and dates from the 7th century AD. Wat Wat Phutthaisawn and a Ayutthaya Reclining Buddha. This one was in a darkened room, ie pitch black. Needs alot more gold leaf on it to sort it out, but only a small one. 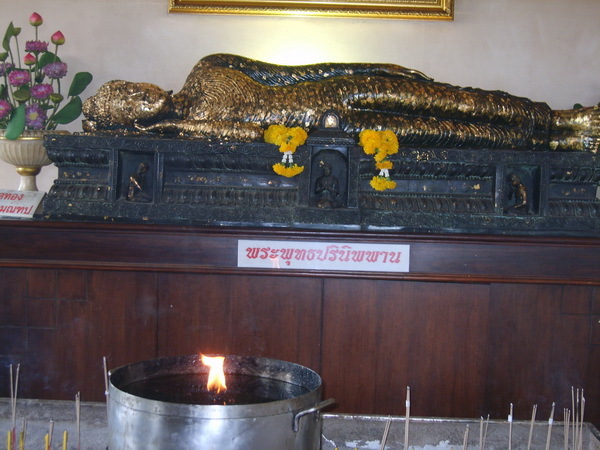 Thsi reclining Buddha is a tiny little one at Wat Pho in Bangkok, thought it was quite nice myself. Nice pics DD. I'll post some eventually, lazy sot that I am.